John Desmond and his wife Ellmary Fenton are passionate about food. Every year between the months of June and September the pilgrimage begins from Ireland and beyond to the tiny island of Heir Island in West Cork where they own and run the Island Cottage Restaurant and Cookery School. 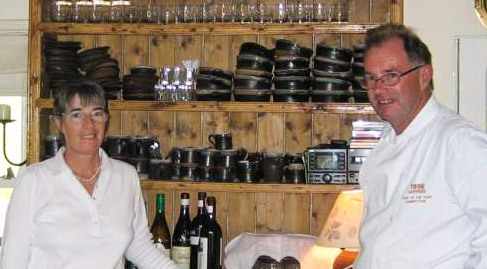 John left Ireland in the 1970’s to work alongside some of the top chefs in Europe. He trained at the Ritz in Paris and later was appointed Professor de Cuisine at the renowned Ecole de Cuisine La Varenne in Paris. In addition to being chef at the Island Cottage Restaurant John developed his own cookery school business and an international dinner party service. He has written Ma Cuisine, his own series of cookery books. Ellmary trained at what is now the Park Hotel, Kenmare before going on to work in hotels throughout Europe and the United States. She reurned to Paris to manage the Obelisque restaurant in the prestigious Hotel de Crillon. Together, they run a tight ship on Heir Island. In addition to the restaurant they run cookery courses during April, May, June, September, October and November – an opportunity to share the passion they have for food and for West Cork. Course themes: choice of main course, brown bread, yeast bread, fresh pasta, soups, pastry, sauces, risottos, vegetarian, soufflés, desserts, ice-cream, sorbets. Includes a light lunch. Students can invite a guest each to join them for lunch. It is possible for one person to take this course. 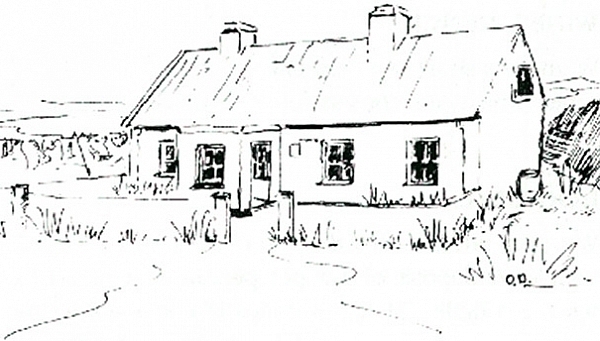 Contact: John Desmond & Ellmary Fenton, Island Cottage, Heir Island, Skibbereen, West Cork, Ireland.